We love his voice, we love his music - Sam Smith has announced his next single ‘I'm Not The Only One’ off his debut album ‘In The Lonely Hour’. Full details about the forthcoming single release seen below, please proceed to read. Since winning the BRITS Critic’s Choice award and topping the BBC Sound Poll, Sam has gone on to prove he is the biggest breakout UK male artist in recent years. His home-grown success has catapulted him across the Atlantic and having featured on Jimmy Fallon with Disclosure followed by stunning solo performances on Saturday Night Live, David Letterman, Sam has become the name on everyone’s lips around the world. 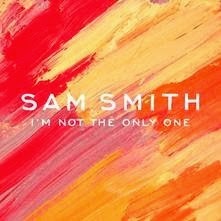 ‘I’m Not The Only One’ features remixes from Armand Van Helden and Grant Nelson. For the video Sam enlisted the help again of acclaimed director Luke Monaghan who worked with Sam on his recent video for ‘Leave Your Lover’ – bringing to life the heart-breaking story of ‘I’m Not The Only One’.